One of the nicest changes in the Writer is the zoom functionality, which (quite frankly) s^h^h ^h was not that good in previous releases. You can actually zoom by dragging the slider... as expected. So lets forget about that. btw: you can safely run OOo 3 (developer builds) alongside an older version (e.g. StarOffice 8 in my case). 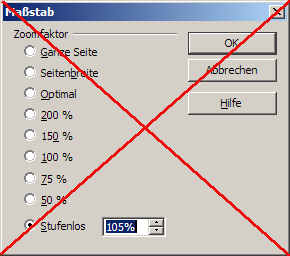 and the "photoshop way" means that you can press "space" and drage the mouse to pan the window. anything else is a reinvention of the wheel. and what you call the b) photoshop way is what I call the Mozilla way ... does not work in Office (ms or oo) becuase ctrl+- is reserved for the conditional hyphen there for decades now.